The Jakarta Post (Feb. 16) reported that the Forestry Ministry is planning to include oil palm estates to the forestry sector. Even though Forestry Minister Zulkifli Hasan denied the plan, an internal source at the ministry said that the decree is in progress (the Post, Feb. 23). This proposal automatically sparks controversy. Responses from the Post readers, for example, show that majority opposed the plan. Several regional governments, such as the North Sumatra Forestry Bureau, also rejected the plan. The opposition to the plan is understandable. The anxiety that this will lead to more massive conversion of forest into oil palm plantations is the main reason, although the Forestry Ministry believes that this will not be the case. It is also suspected that the decree could become legalization for ongoing forest occupation by plantation companies. This suspicion is not too exaggerated. The forestry minister once complained about the National Summit forum last year that the forestry sector was viewed as a development obstacle. One of the summit recommendations then was “a review on regulations regarding regional land use and land availability, including forest areas.” No wonder if tackling land use overlapping has become one of the main focuses of Zulkifli Hasan administration. There are common cases of disputes between forestry and agriculture sectors, especially plantations. Conflicts between these two sectors might be the reason why former president Abdurrahman Wahid merged forestry and agricultural plantations into one ministry. Even though the plantation sector was then taken back under Agriculture Ministry in the next presidential administrations; however, the disputes have been widely acknowledged. The source of the clash between the two sectors is mainly because the forestry sector was based on area. This does not only mean a legal area, but far more than that an area which is viewed as an integrated biological ecosystem comprising a variety of biodiversity and ecologically important. Therefore, it is not correct to perceive forests as an economical resource only. Forest management must be based on ecological knowledge and it must consider aspects of biodiversity conservation. This is the foundation of silviculture and forest management methods. On the other hand, the agriculture sector is based on agricultural commodities. The value of the agricultural sector increases with the increase of commodity quantity as well as the quality. The balance of the ecosystem is not the main focus. Defining palm plantation as forest may have some foundation. However, this denies the basic principles of forest management that views forests as integrated ecosystems with ecological perspectives. Oil palm plantation is valued solely based on the product without emphasis on ecological harmony. Therefore, the inclusion of this plantation in the forestry sector is just like cleaning the dust by hiding it under the carpet. The main problem of deforestation and the conflict between the two sectors will remain. The head of research and development at the Forestry Ministry, Tachrir Fathoni, also argued that the plan to include oil palm plantations into forestry sector is “to anticipate the implementation of the REDD scheme” (the Post, Feb. 16). The United Nations guideline only defines trees (as carbon absorbers) based on high, without any detail of the species. Therefore, he argued that the proposal will allow Indonesia to receive more benefits from REDD based on the expansion of green areas. However, this reason in fact sounds funny. The basic paradigm of REDD is avoiding deforestation. The incentives of this scheme are based on the ability of a country to avoid deforestation from its natural forest. Donors are not stupid and do not facilitate funding for areas that are not naturally forested. It seems to be that the Indonesian government would like to receive double benefits from oil palm: the investment on plantation development as well as REDD compensation from its status as trees. Are they joking? This is actually the reason why we should not think REDD is identical to carbon trading. If REDD is identical to carbon trade, and forests are only perceived as carbon capturers, this mechanism is dangerous. Forest rehabilitation will not consider forest as integrated ecosystems and the importance of biodiversity will be neglected. The plan to define oil palm plantations as forests is the real example of a narrow mind about REDD. REDD is the middle option between saving tropical rainforests and emission reduction from carbon trade. Therefore, Grainger et al. (2009), in their essay on Current Biology Volume 19, recommended that the national implementation standard of REDD must include biodiversity-inclusive environmentalal impact assessments. However, it cannot be refused that the need for land for agricultural estates and the people will increase. Hence, the conversion of forests for other purposes is inevitable. But, this cannot be done by fooling ourselves by defining oil palm plantations as forest. Without proper consideration, plans such as this will only legalize the continuous acts of destroying Indonesian forest. With accurate and comprehensive ecological considerations, forest conversions are not always negative. Of course, the main purpose is to supply land for people who need it as well as for companies. However, ecologically important areas must maintain their legal status as preserved forest. These preserved forests must also be protected from the change on its biodiversity composition because of illegal occupation. 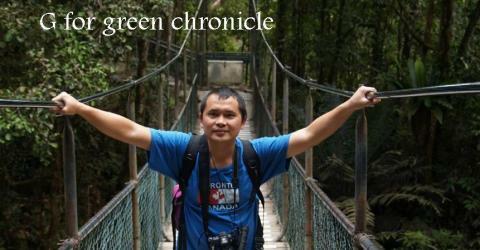 The writer is an ecologist at University of Bengkulu and is an Australian Leadership Awards fellow. Hopefully, the program of planting a million trees does not count palm trees for business purposes. If yes, it means that only the conversion.